This week sees the start of a month of Chaos releases. 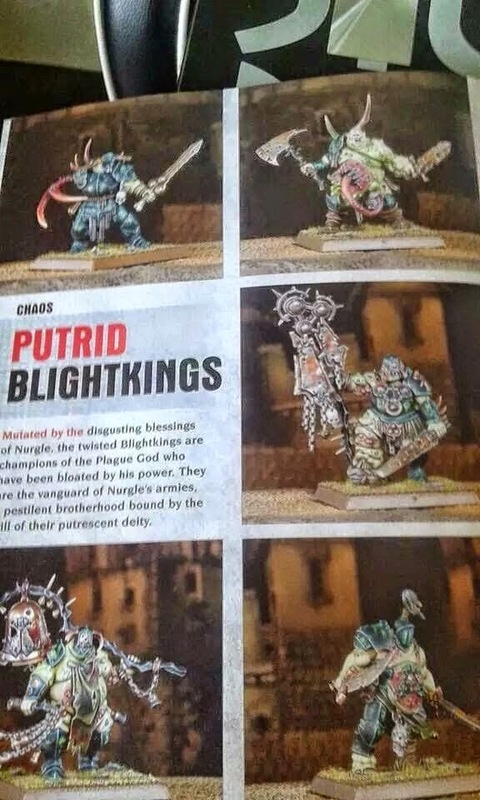 So the first week sees the Putrid Blightkings. These appear to be Nurgle Chosen. Also expected is Nurgle Special Character Gutrot Spume plus a large Nurgle Monster with variety of builds. 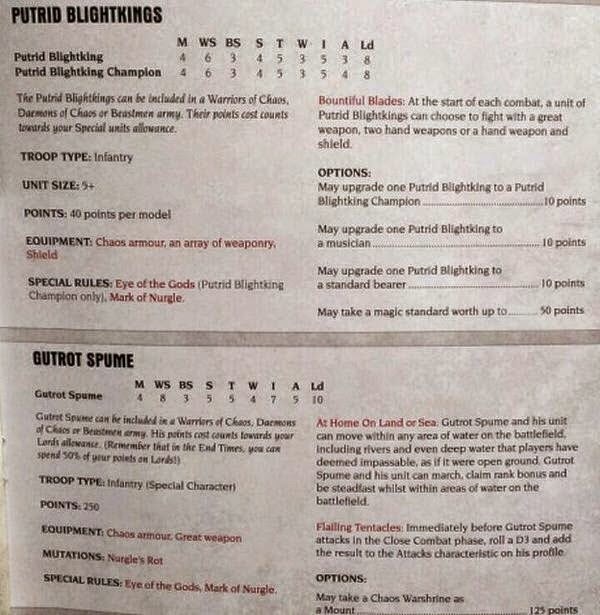 Interestingly the rules for the Blightkings show them as "Infantry" on a 40mm base - so only single attack from second rank :-( These look very overpriced game wise. And they cost $110 NZD for 5 models so not cheap wallet wise. 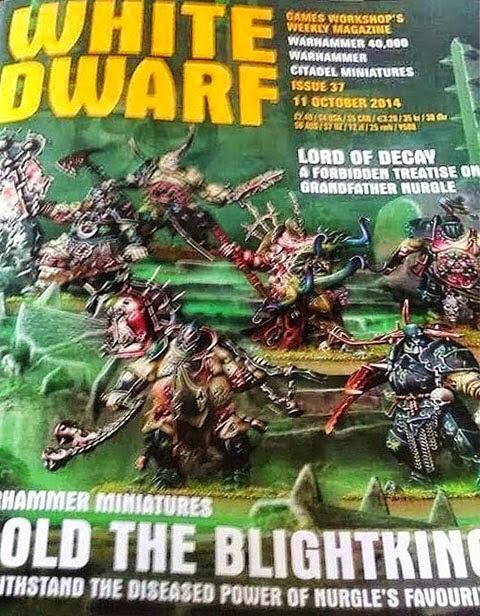 Expect that they will get used as Nurgle champs in WoC armies....oh wait. 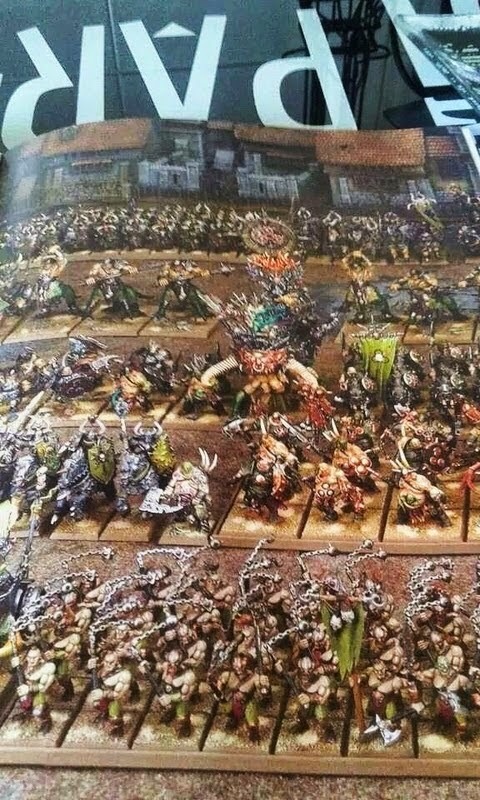 Hoping that is a typo on the unit type, if that is changed to monstrous infantry would be very interested in these guys! If they remain as infantry however I can definitely see myself adding Gutrot into my foot warriors! If they stay as "Infantry" then they have no Stomp and more importantly can be Stomped/Thunderstomped. I said exactly that on twitter. Nurgle is so overdone. Spread the love around! And by love we mean some Slaaneshi manlove. it's not manlove, its 'undecided love' and it's not optional. I guess they are trisexual, in that they'll try anything; ladies, men, chickens, bushes, mud. Interesting to see if this is the first step in introducing some sort of "heavy infantry" concept on these big bases. Not going to weigh into whether I think it's actually a good idea or not though.